DELL RAPIDS, S.D. - UPDATED: 4:49 p.m. Flooding is taking a toll on many communities in KELOLAND on Monday, one of them being Dell Rapids. City officials say they are expecting the Big Sioux River to crest either Monday or Tuesday morning. Across Dell Rapids, water is blocking several streets and sandbags are surrounding homes. "We've seen a lot of the main roads flooding up. We've seen quite a few houses that have been underwater. It's kind of interesting to see down by the park in places that we walk and hangout with our kids are completely underwater," resident and owner of LaDelle and 4th coffee shop Amie Delgado said. Dell Rapids City Administrator Justin Weiland says the rising water is something they are keeping an eye on. "It's anticipated to crest at about 20,000-23,000 cubic feet per second so we're almost at the worst stage right now. We anticipate it to rise a few more inches by tomorrow so we're continuing to monitor the situation," Weiland said. 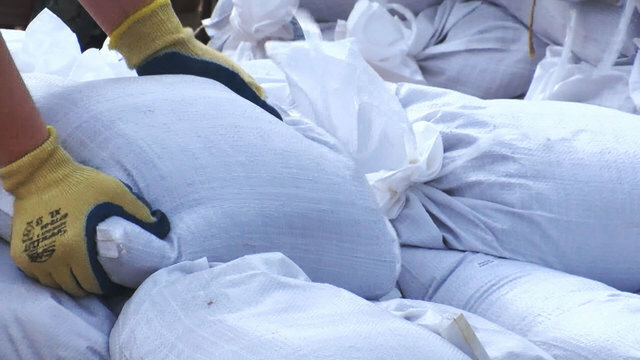 He says the city and volunteers have worked round the clock to sandbag and prepare. 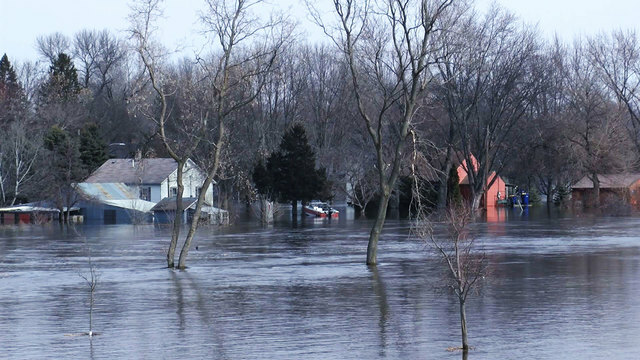 "Majority of the homes and property owners will be affected by the flood have had those preparations done to their properties if it was removing property out of their homes, or sandbagging," Weiland said. There is also a focus on getting people the help they need. "There are several properties, probably 25 plus properties that are inundated with water right now and those have been the main areas to help those folks get the resources they need," Weiland said. Delgado says the Dell Rapids community has stepped up to help. "Here at the coffee shop, we get to see people come in and out all the time and we hear different conversations and different people helping, and we've always thought that Dells is a supportive community and this is just proof of all of that" Delgado said. Weiland says the water is expected to stay at flood levels for the next 8 to 10 days. The flooding in Dell Rapids has taken over the baseball field. The Big Sioux River is expected to crest around 3 a.m. Tuesday in Sioux Falls. KELOLAND's Sarah McDonald posted photos of the field on Twitter. 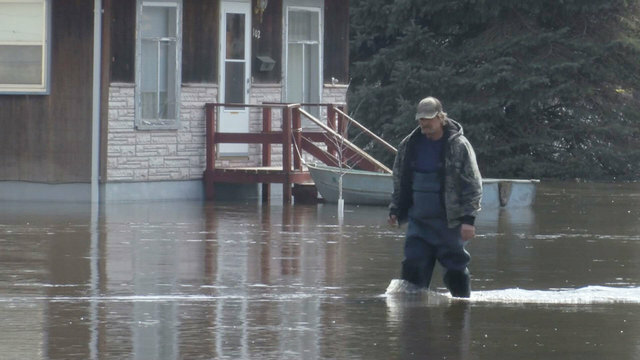 People in KELOLAND are preparing for or dealing with flooding. 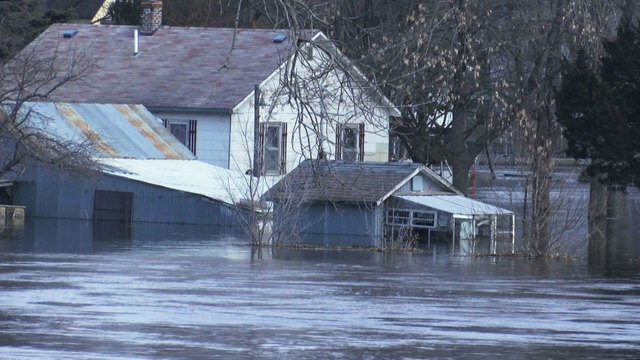 One area hit with floodwaters is Dell Rapids. KELOLAND's Sarah McDonald is heading there on Monday to give you a look at what residents are dealing with. Look for her updates here throughout the day.